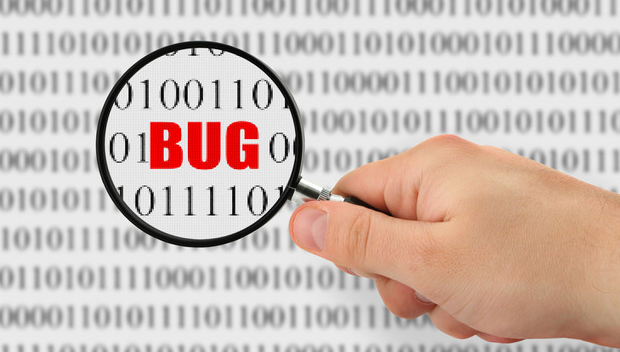 Bug tracking plays a fundamental role in software development, as it helps improve the quality of software. No matter how skilled the Developers responsible with creating and supporting software, there is no such thing as a flawless code, application or Software. In this post, we will discuss in detail How to Efficiently Develop Issues and Bugs Tracking System for Software Development Program?. How to Report Bugs Conclusively? When software development companies do not use dedicated bug tracking tools to their full potential, they fail to deliver adequate quality levels. It is therefore important to read more about bug tracking systems prior to utilization and explore all its features. The defect tracking process is implemented to maximize the product development and QA by eliminating waste such as rework and added complexity. If development teams rely on ad hoc bug tracking methodologies that do not incorporate user feedback into the development process for instance, the software will never have the reported issues fixed. This is why the unified approach to bug tracking is considered the best methodology at the moment, as it incorporates feedback from all the teams involved in the lifecycle management of the software from development and quality assurance to customer services and field representatives. In the past, open bug/defect detecting programs were rare, as software development companies did not like to admit to vulnerabilities. The emergence of open-source software development projects brought a shift in mentality, as end users and researchers’ bug reports turned out to be fundamental in improving software. Visit this page to learn about defect detecting programs. How Important Are Quality Bug Reports? Developers depend on the information submitted by end-users to detect and solve defects. Therefore, bug tracking systems should be able to provide assistance to collect and report essential information to developers. Contrary to expectations, miscommunication and misunderstanding are the main causes that lead to unsolved software defects. Sometimes, a bug affects a small percentage of end users that choose not to submit a bug report believing the odd behavior is due to a malware infestation. You can read here an example of buggy software that showed the symptoms of a malware infestation. Generally, end users are not familiar with the development process and often submit bug reports that only announce the problem without giving any useful details to help developers detect and handle the bug. Well written bug tracking reports allow developers to collect relevant information about defects and to solve them more efficiently. If a bug report describes an odd behavior that could be caused by great variety of problems; the details of that report can help developers correctly identify the cause of the defect and dismiss the possibility of a problem at the user’s end such as malware infestation. Why is Hardwired Bug-Tracking Terminology Not Good? Implementing a defect tracking tool should immediately give results, provided that it is used to its full potential. No matter how sophisticated and full of potential an application, it becomes useless, if interaction with the system is difficult and those complex features are left unused. People should be encouraged to submit bug reports and this means implementing a system that will not confuse and frustrate the users. By eliminating hardwired bug-tracking terminology, you make sure reports will include accurate and essential information. A report that describes in detail an odd behavior will be discarded from the start, if it does not mention essential details as for instance the name of the accessed webpage and the exact version of the browser used when the error occurred. The support team receiving the report from end-users should know the basics of writing a bug tracking report to ensure it contains key information before submitting it further.